The Water Purifier cartridge replaces the cartridge shipped with your original unit and is easily installed. The filter's "smart-chip" monitors system performance and sends messages about function or replacement timing, which appear on the unit's lighted display. If you registered your Water Purifier when you purchased it, you will be contacted automatically with a reminder to replace your cartridge. You can also set up an automatic annual purchase through the DITTO® delivery service, at checkout. Benefits Each Water Purifier Cartridge: Is the same as the cartridge originally supplied in your Water Purifier. Has a patented carbon-block filter to reduce more than 140 potential health-effect impurities, like pesticides, MTBE, lead, and mercury. Has a UV bulb that destroys 99.9% of bacteria, viruses, and cysts. Will leave beneficial minerals, like calcium and magnesium, in your water. 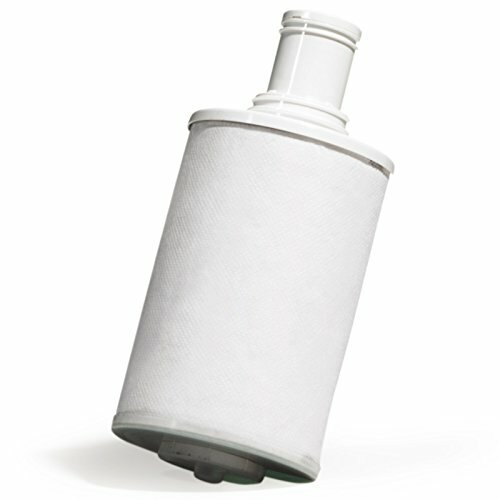 Fits ONLY the eSpring Water Purifier (10-0188, 10-0189, and 11-0720). If you have any questions about this product by amway global, contact us by completing and submitting the form below. If you are looking for a specif part number, please include it with your message.